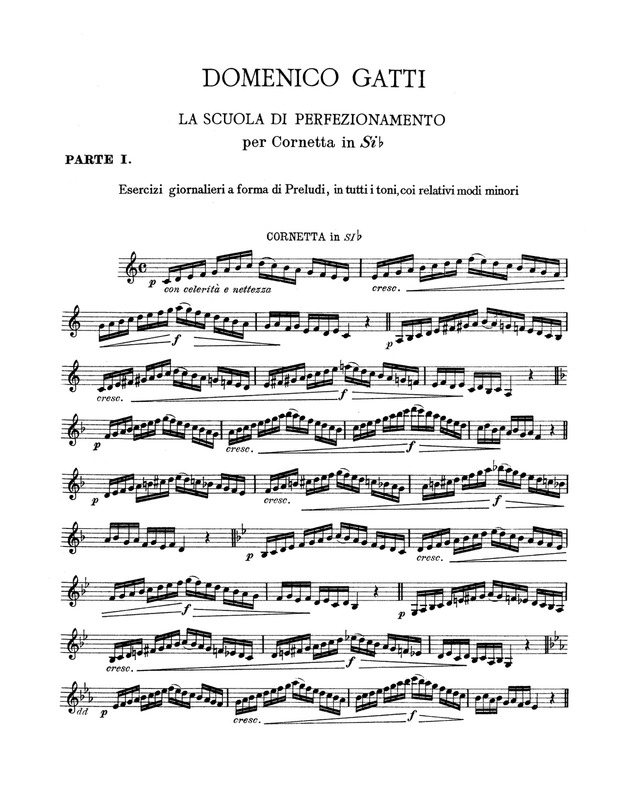 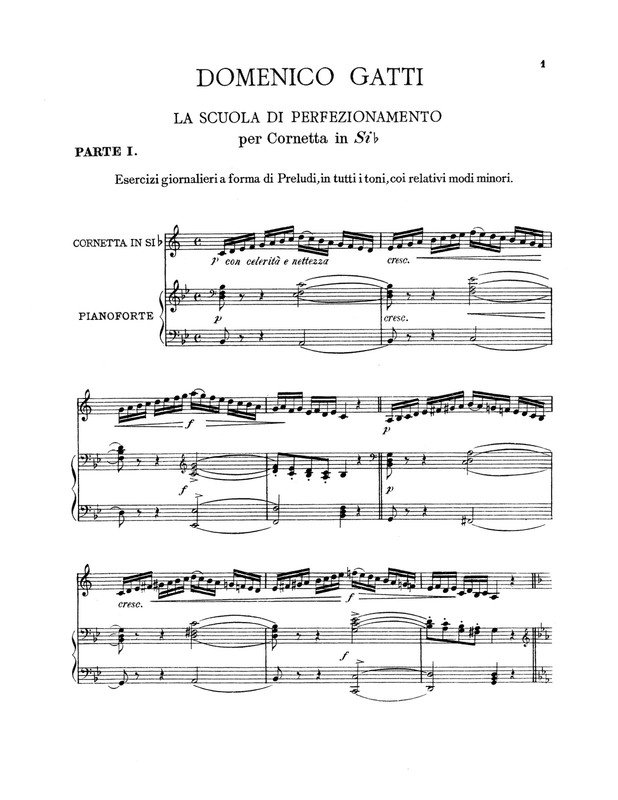 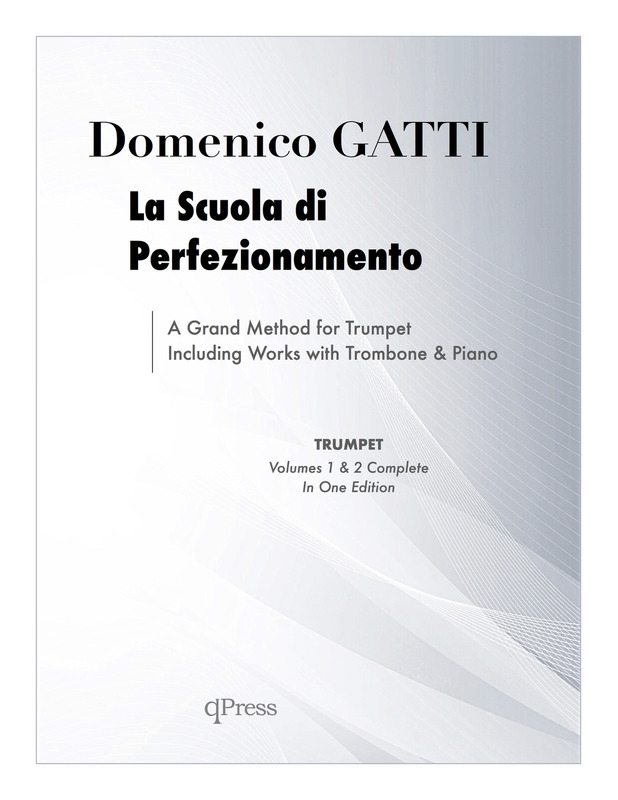 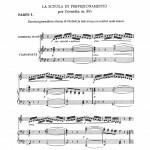 La Scuola di Perfezionamento Complete	by Gatti, D.
Gatti’s massive work La Scuola di Perfezionamento follows his equally ambitious Grand Method (LINK) and 10 Studi Di Perfezionamento (LINK) to round out nearly 1000 pages of creative and imaginative writing for the trumpet. 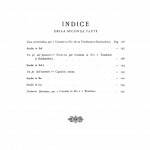 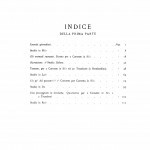 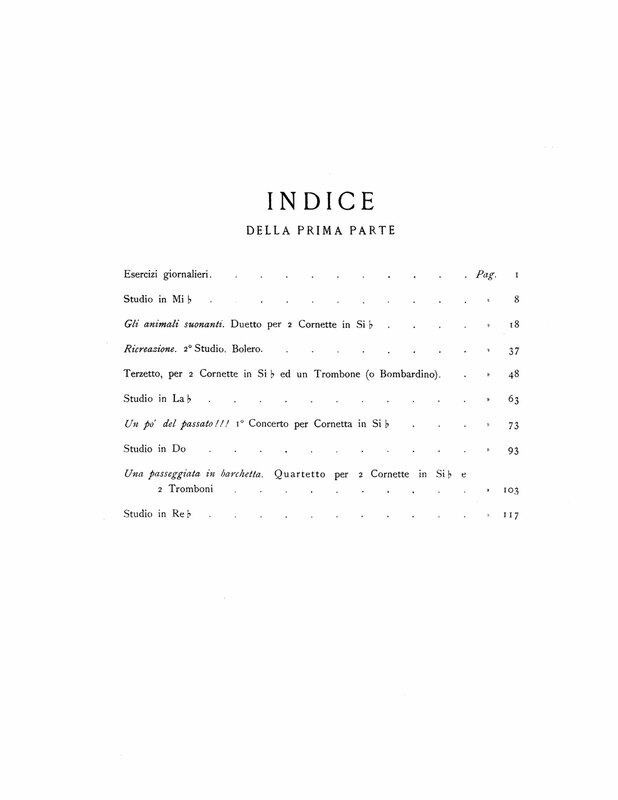 This work was originally published in two volumes but with a continuous numbering scheme, which tells me it was intended as one volume but was too expensive or too long and had to be split up. 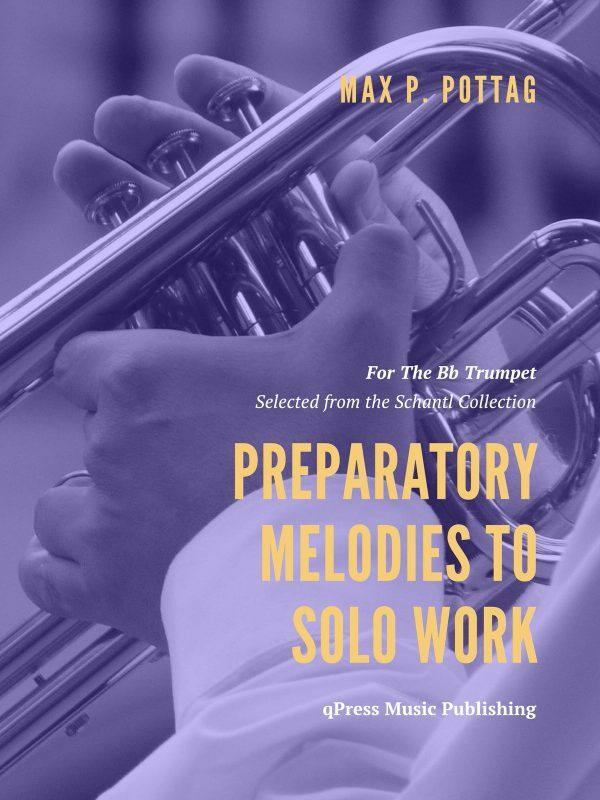 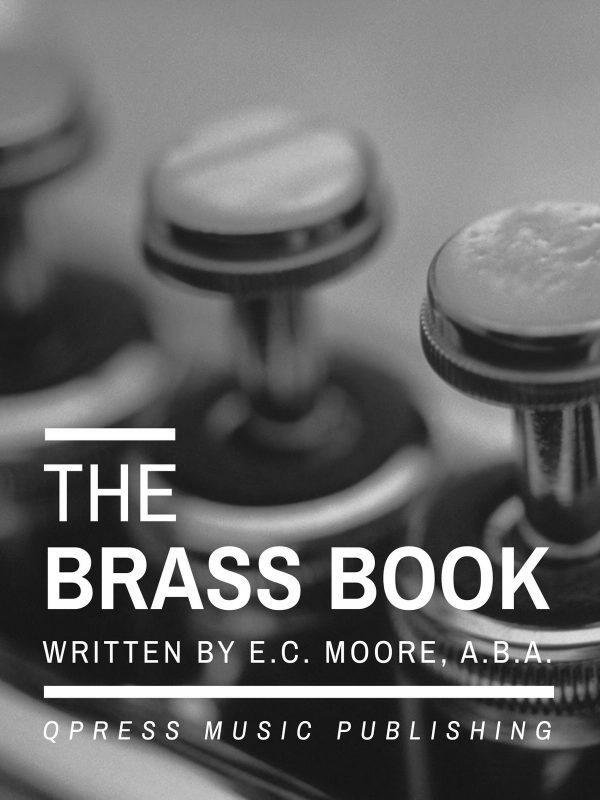 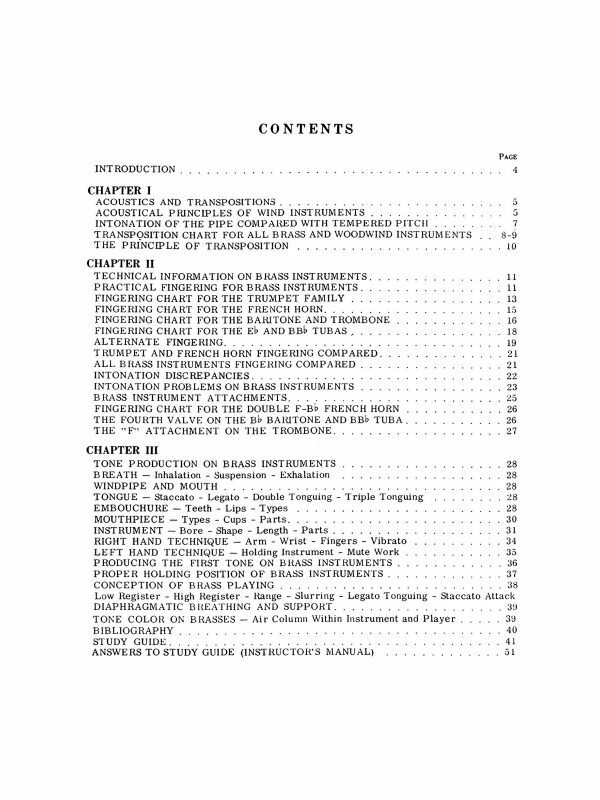 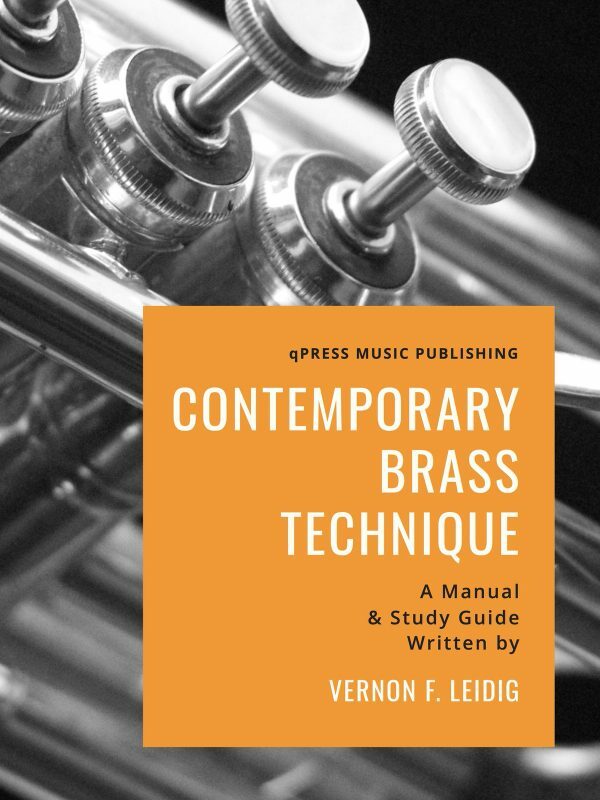 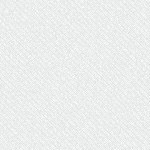 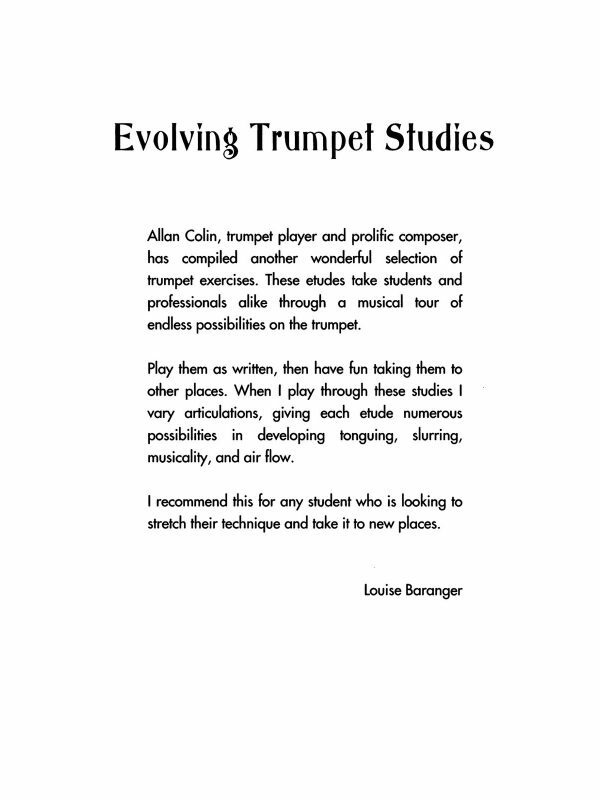 Since we don’t have those limitations at qPress, it has been combined into one complete edition with separate parts for Piano, Trumpet, and Trombone bundled together. 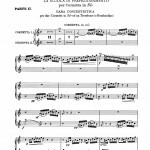 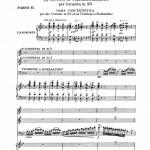 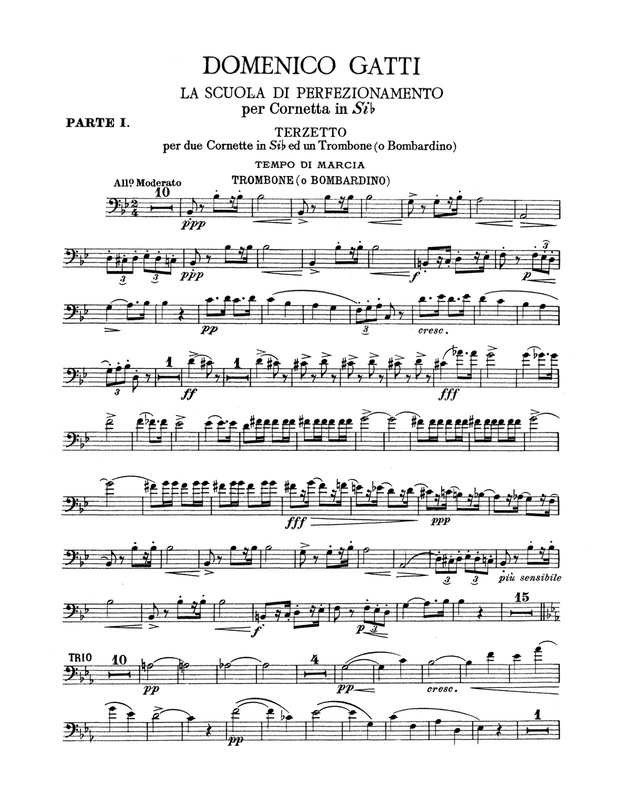 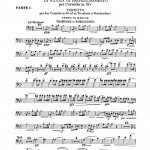 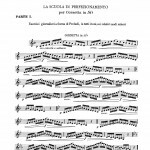 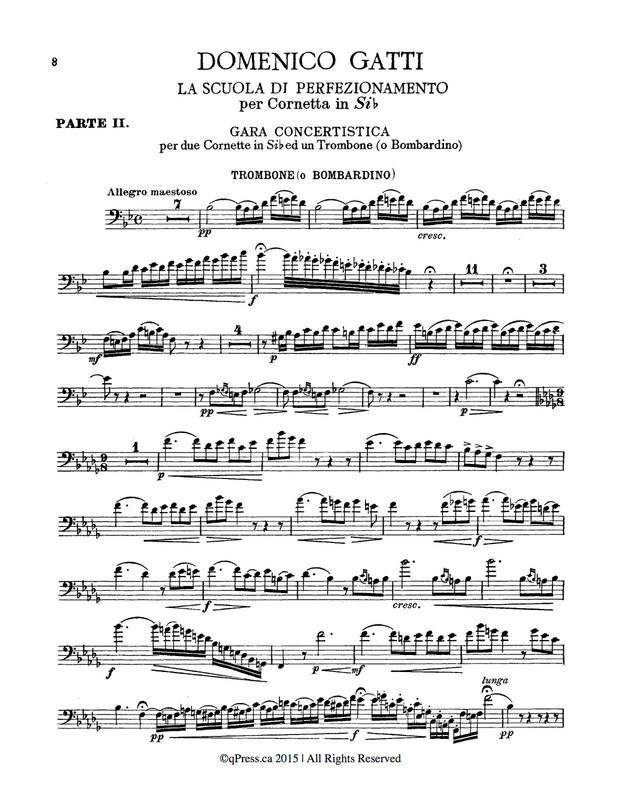 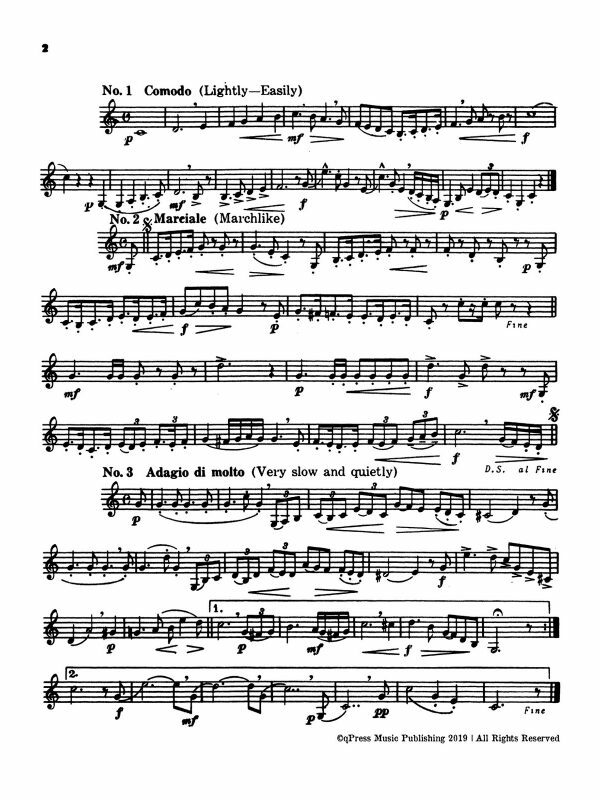 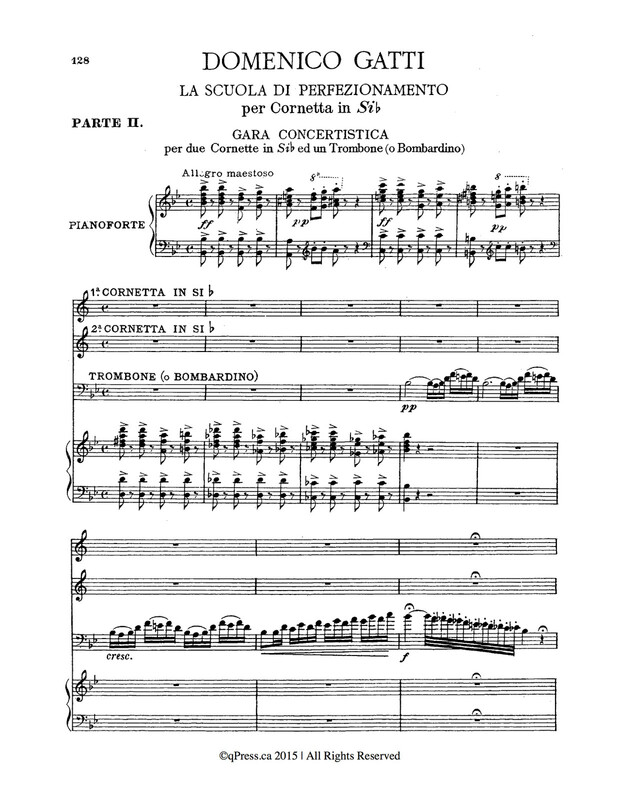 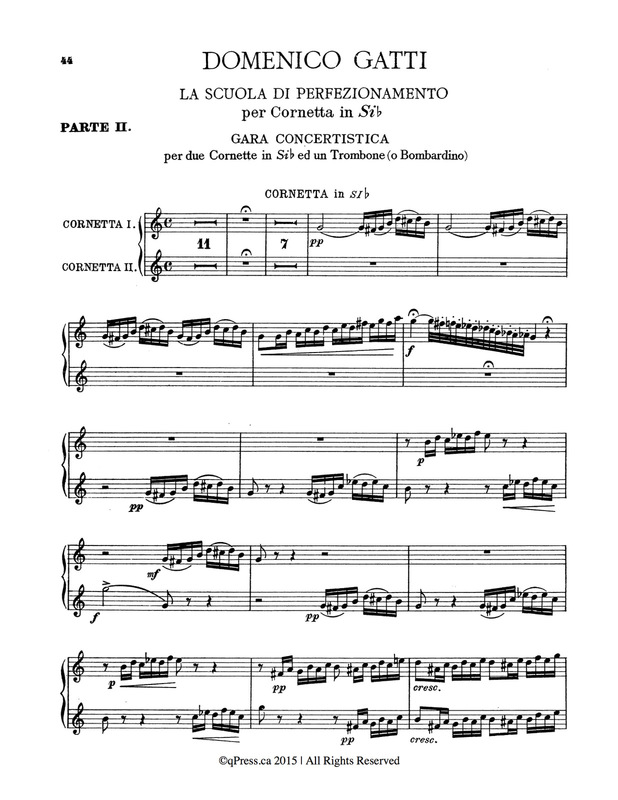 This monumental work consists principally of etudes for cornet with piano accompaniment, but also includes duets (2 cornets), trios (2 cornets, trombone), and quartets (2 cornets, 2 trombones), all with piano accompaniment as well. 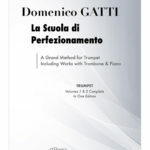 For everyone who has the Grand Method and has loved his duet writing this takes everything a step further. 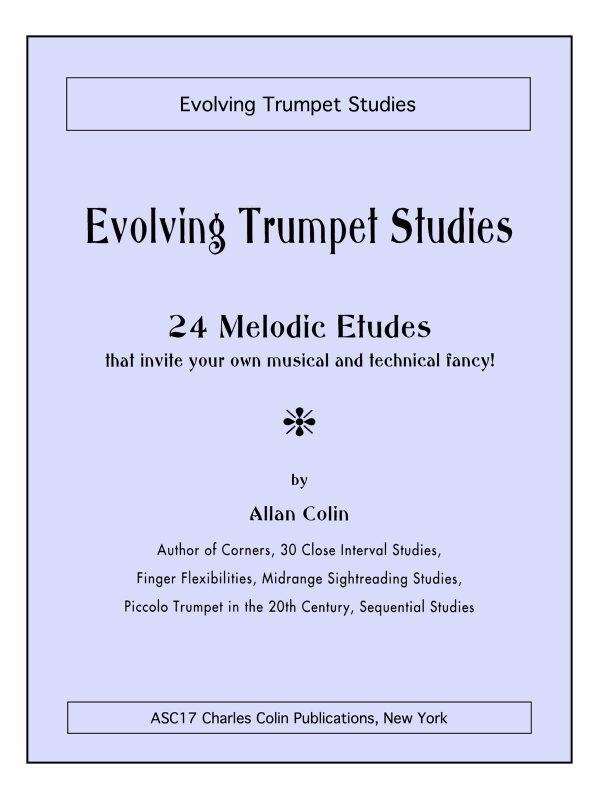 The addition of accompaniment and augmented forces means you can take these compositions from the studio to the stage and be right at home in any venue. 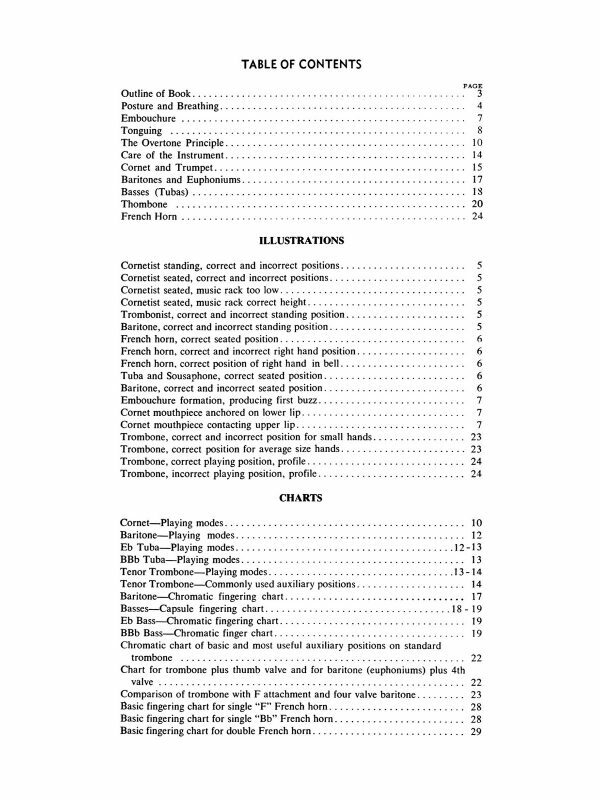 There are sample pages from each part and each volume to the left, and you can grab an immediate PDF download above.